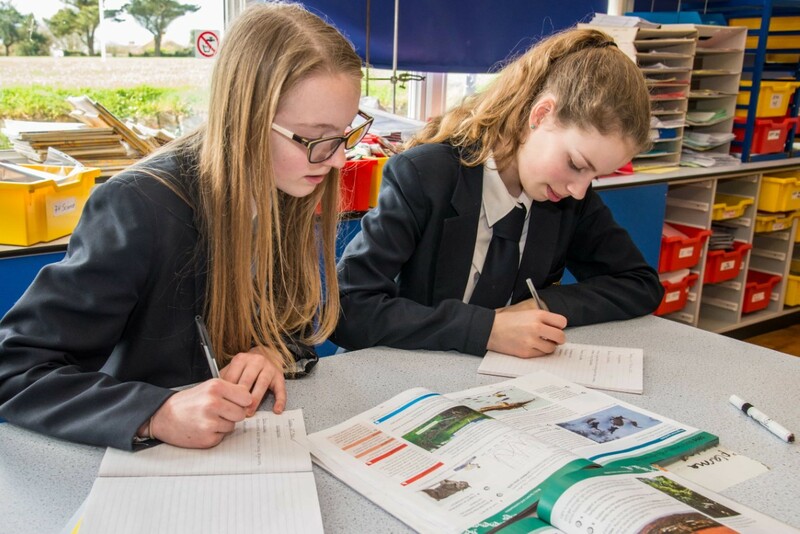 The school curriculum at Newquay Tretherras aims to inspire and challenge all learners and prepare our students for their futures. We are proud of our traditional, broad and balanced academic curriculum which supports our young people to become confident individuals, responsible citizens and successful learners who can fulfil their promise and potential within and beyond the classroom. We offer specialist extra help and support for those with special needs and barriers to learning. The aim of our curriculum is to build on every student’s potential and to help them achieve to the very best of their ability. The curriculum seeks to prepare young people for a rapidly changing world. It does this by offering rich and deep learning experiences across a wide range of curriculum subject areas and experiences, both within and beyond the classroom. As well as our commitment to traditional academic subjects, we believe passionately in the importance of the creative arts and we also provide access to high quality sporting activities and experiences for all our young people as part of our ‘Healthy Schools’ approach. Our Phase 1 lessons follow our own ‘Tretherras Way’ and students experience a personalised approach to their learning through developing key learning skills: motivation; resilience; collaboration; creativity; responsibility; self-awareness and an enquiring mind. Links between subject knowledge, personal skills, events and activities are made to enhance learning and students are encouraged to see their learning from both a British and a global perspective. At Tretherras we believe in empowering all students to become successful lifelong learners who are self-aware, creative and resourceful enough to meet the challenges, careers and opportunities of the 21st century. We value the power of Outdoor Education and extra-curricular learning in encouraging independent learners and enhancing resilience, self-esteem and problem solving abilities. We are committed to learning experiences which give our students genuine opportunities to develop personally and socially, utilise their talents and discover who they want to be as individuals in the adult world. We are an ambitious educational community which believes in setting the highest expectations and aspirations for absolutely everyone as part of our inspirational vision for the whole ‘Tretherras Family’.